Colac is a small city in the Western District of Victoria, Australia, approximately 150 kilometres south-west of Melbourne on the southern shore of Lake Colac and the surrounding volcanic plains, approximately 40km inland from Bass Strait. To find other places to visit, photos, reviews, and other tourist information, refer to the Colac trip planning tool . Sydney to Colac is an approximately 6-hour flight. You can also drive. In November, Colac is little chillier than Sydney - with highs of 25°C and lows of 11°C. Wrap up your sightseeing on the 5th (Tue) to allow time to travel to Port Fairy. Port Fairy is a coastal town in south-western Victoria, Australia. 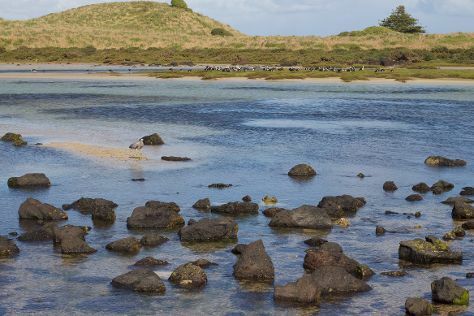 Kick off your visit on the 6th (Wed): explore the galleries of Whale Bone Studio Arts, then head off the coast to Griffiths Island, then enjoy the sea views from Griffiths Island Lighthouse, and finally explore the different monuments and memorials at Port Fairy Public Cemetery. To see reviews, maps, more things to do, and tourist information, read Port Fairy trip maker tool . Drive from Colac to Port Fairy in 2 hours. Wrap up your sightseeing on the 6th (Wed) early enough to travel to Port Campbell. Port Campbell is a coastal town in Victoria, Australia. Kick off your visit on the 7th (Thu): take in the dramatic natural features at The Razorback, then get great views at Loch Ard Gorge, and then get outside with The Arch. Here are some ideas for day two: explore the striking landscape at London Bridge and then kick back and relax at Port Campbell precinct and foreshore. To find other places to visit, reviews, where to stay, and more tourist information, go to the Port Campbell itinerary builder tool . You can drive from Port Fairy to Port Campbell in 1.5 hours. Wrap up your sightseeing on the 8th (Fri) to allow time to drive to Torquay. 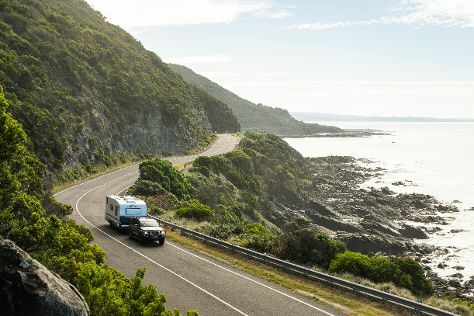 Kick off your visit on the 9th (Sat): see the interesting displays at Australian National Surfing Museum and then cruise along The Great Ocean Road. Get ready for a full day of sightseeing on the next day: admire the sheer force of Sheoak Falls, admire the sheer force of Erskine Falls, then see the interesting displays at Great Ocean Road Story, and finally enjoy the sea views from Split Point Lighthouse. To see ratings, traveler tips, more things to do, and more tourist information, read our Torquay online vacation builder . Drive from Port Campbell to Torquay in 2.5 hours. Alternatively, you can take a bus. In November, daily temperatures in Torquay can reach 25°C, while at night they dip to 11°C. Finish your sightseeing early on the 10th (Sun) to allow enough time to travel back home.